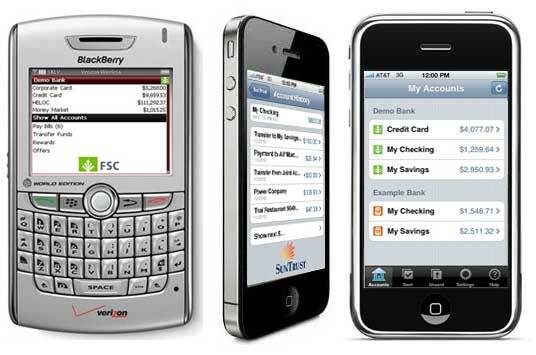 The Firethorn Mobile Banking app was initially designed for feature phones and Blackberry. When the iPhone was launched, it was one of the first externally developed apps. I was the Senior Interaction Designer on the Mobients team (UX Lead and two Senior Interaction Designers) and was responsible for the experience strategy and interaction design including producing all major deliverables (Wireframes and Process Flows). Working to understand the business behind the banking sector, I collaborated with the client’s technology team to perform a rigorous analysis of the iPhone platform and evaluated the effort and impact to the existing design to port to the iPhone. The Firethorn Mobile Banking app reached hundreds of feature phones and Blackberry even before the launch of the iPhone. When the iPhone was released, the quickness with which the iPhone app was released was a major factor in the adoption rate. Suntrust, Wachovia, USAA, FirstBank were among the 40-odd banks that adopted this mobile banking application.